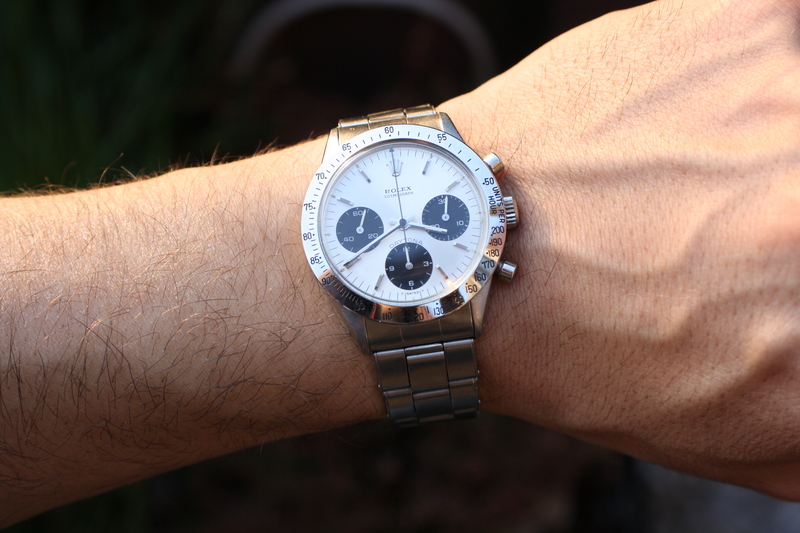 Daytona 6239 Cosmograph produced circa 1970. 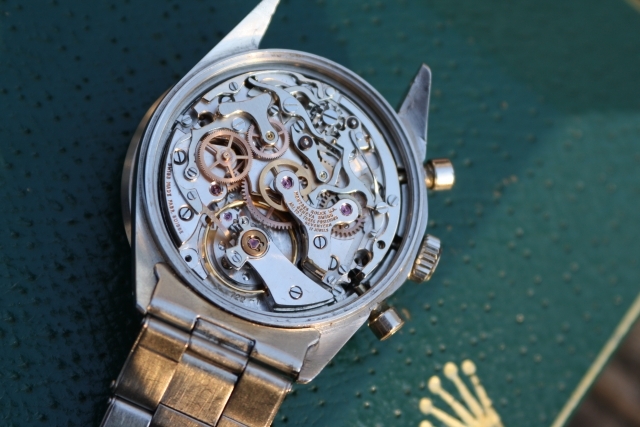 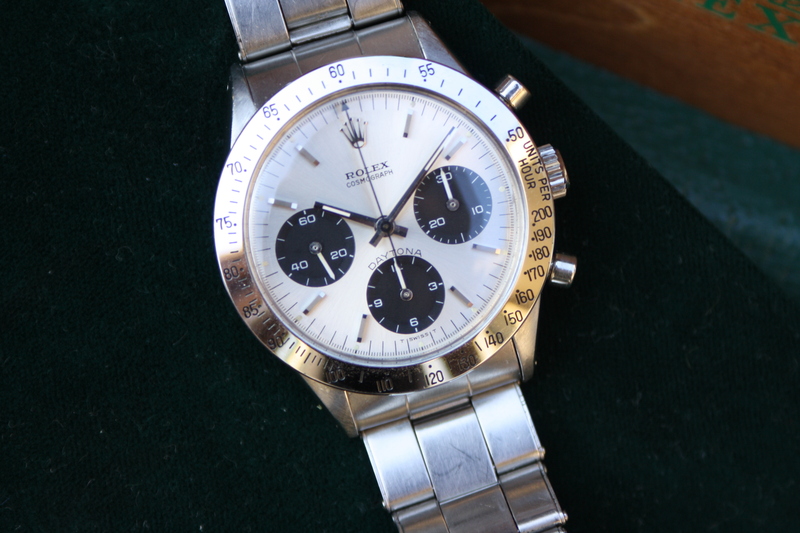 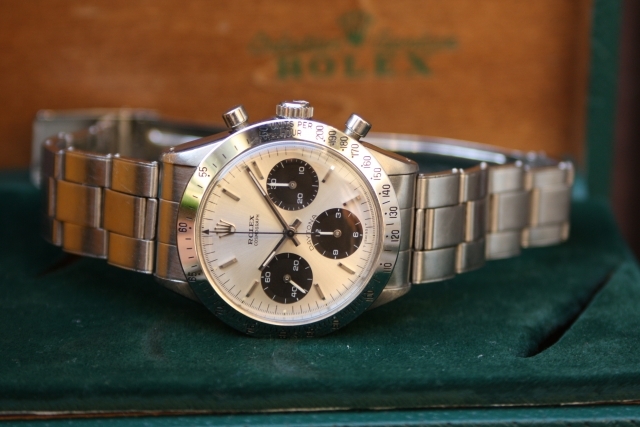 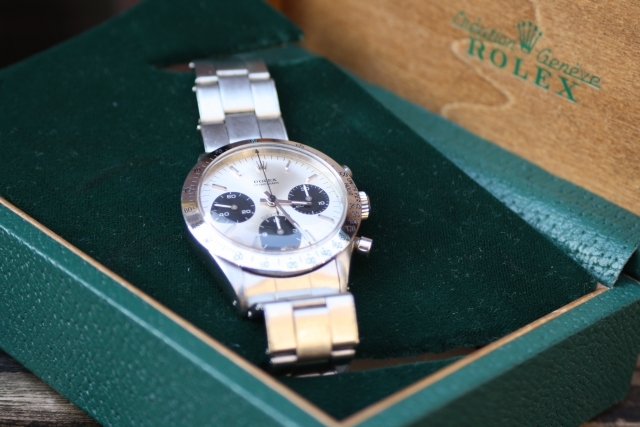 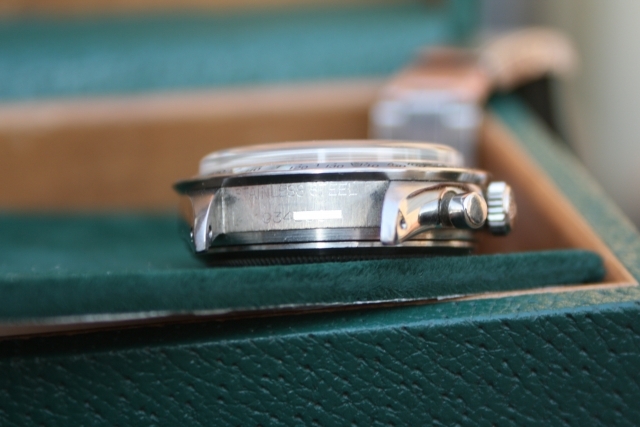 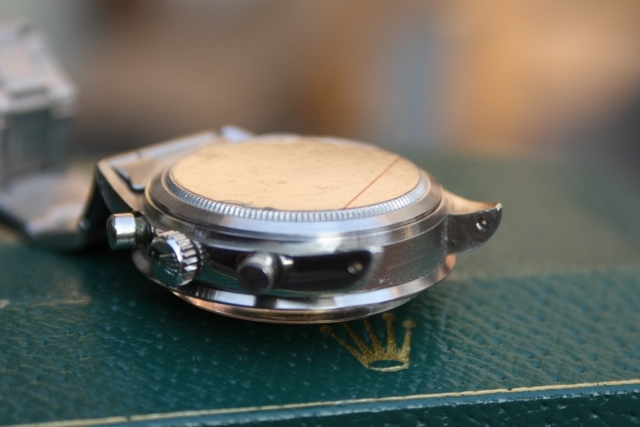 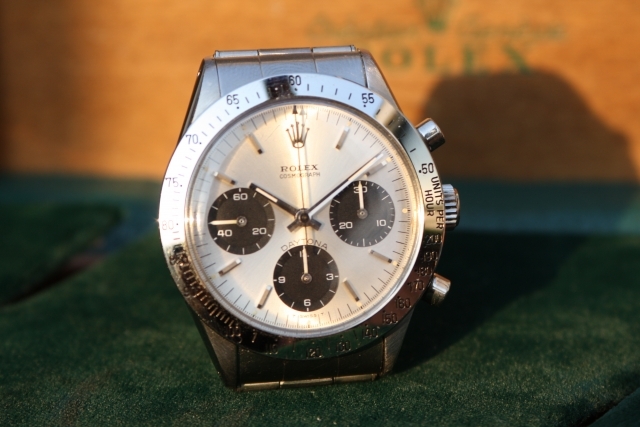 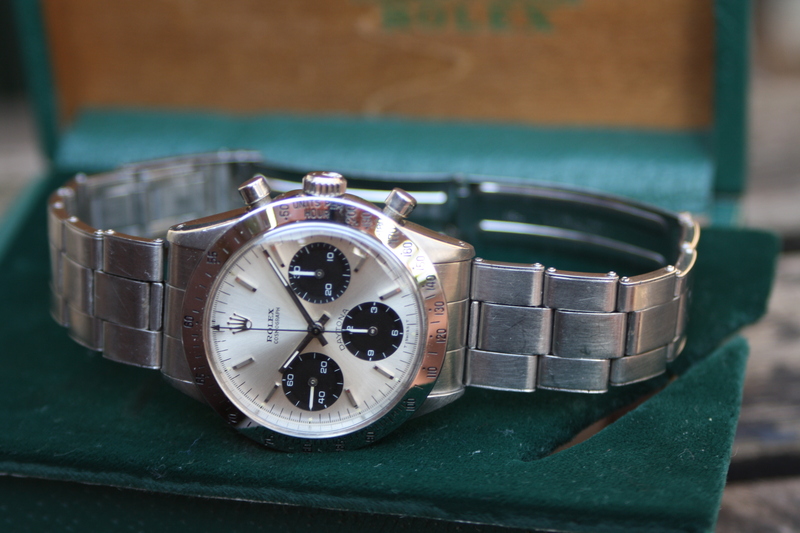 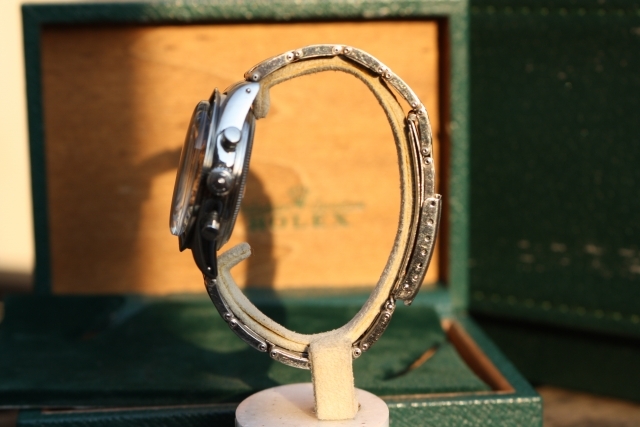 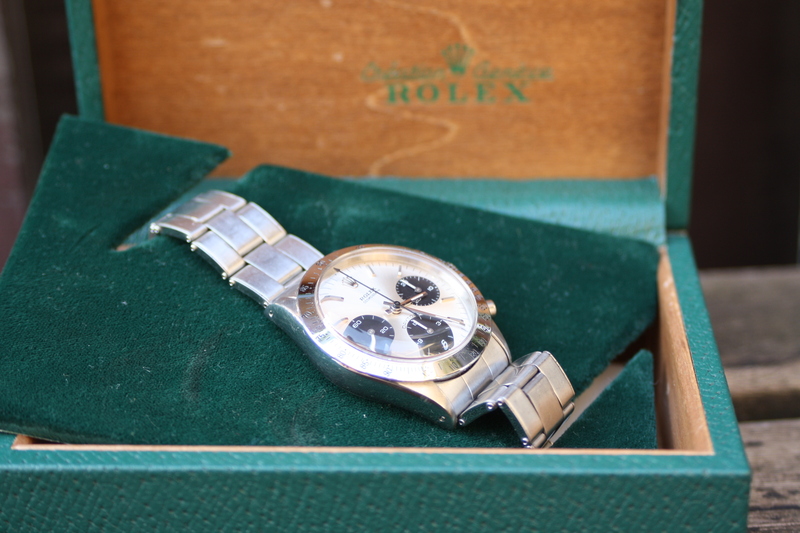 This vintage rolex daytona has been taken care of very well. 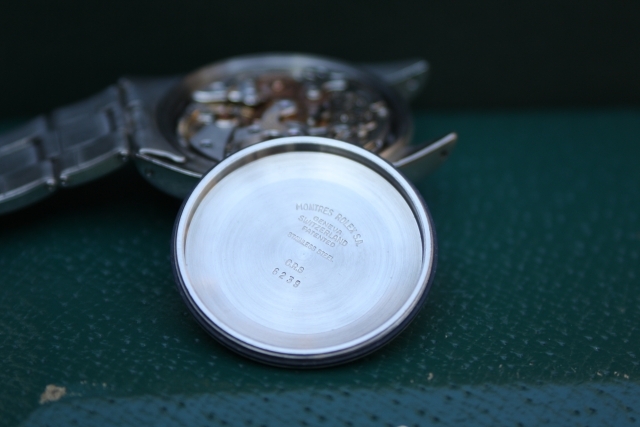 The condition of dial and hands is perfectly conserved as well as the movement which remains in very good and serviced condition. 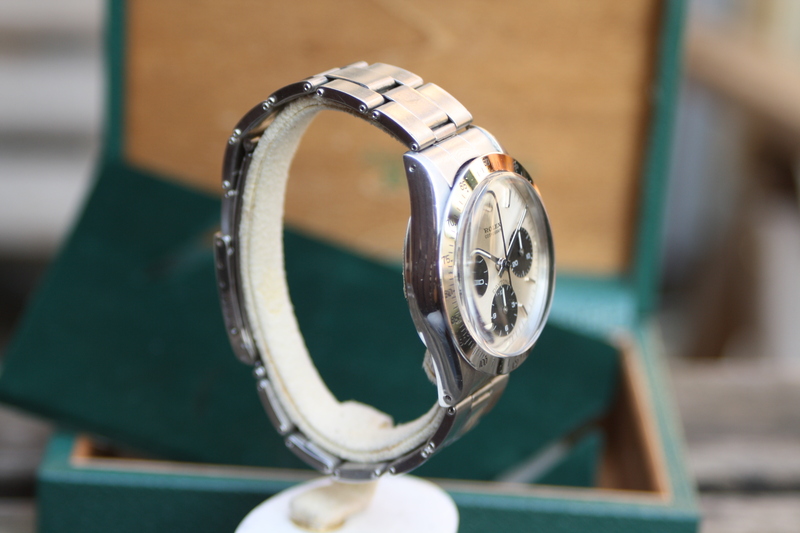 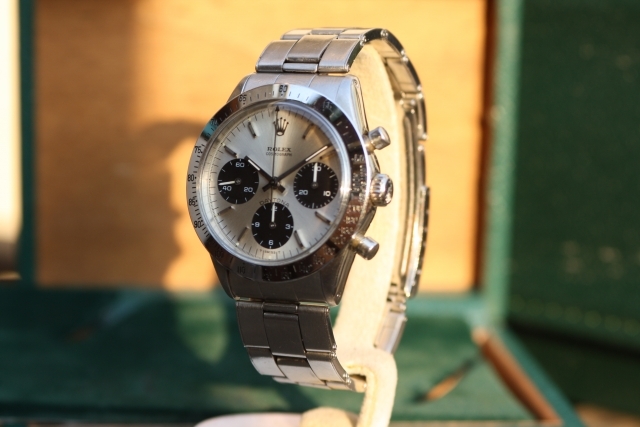 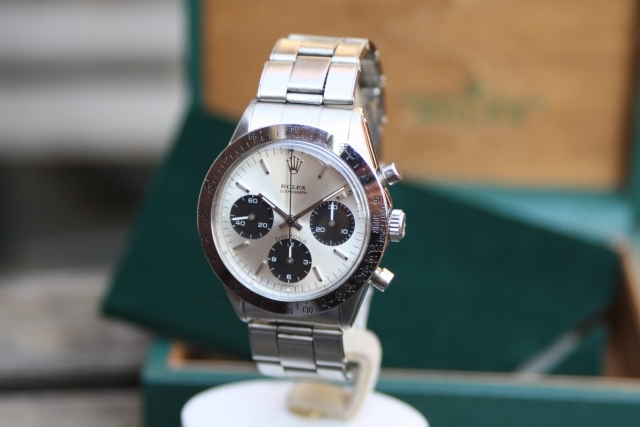 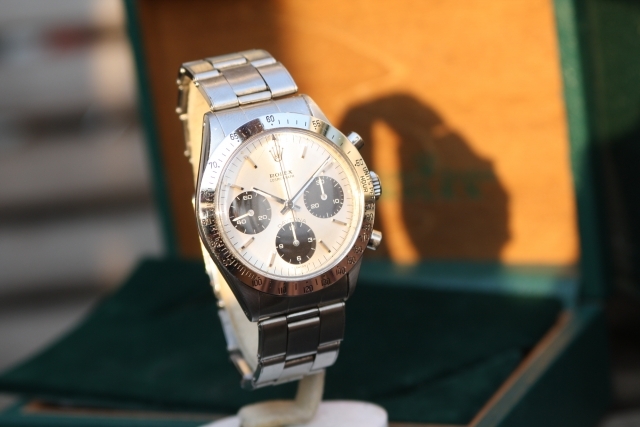 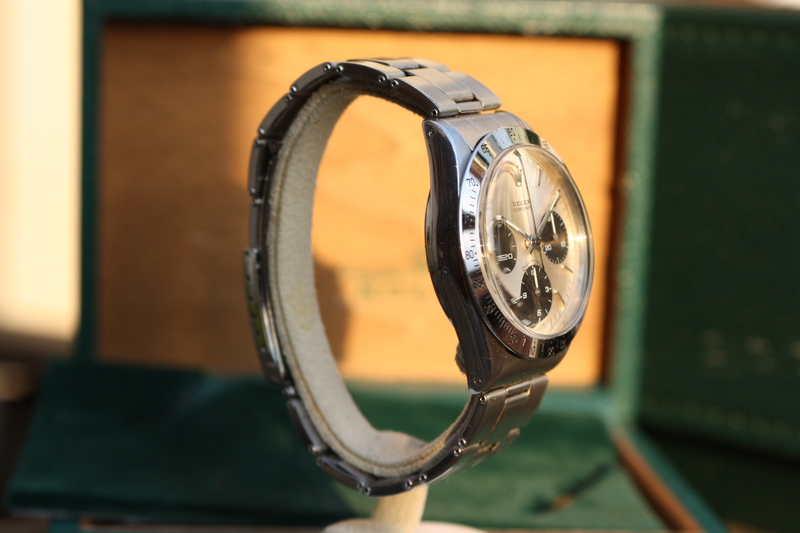 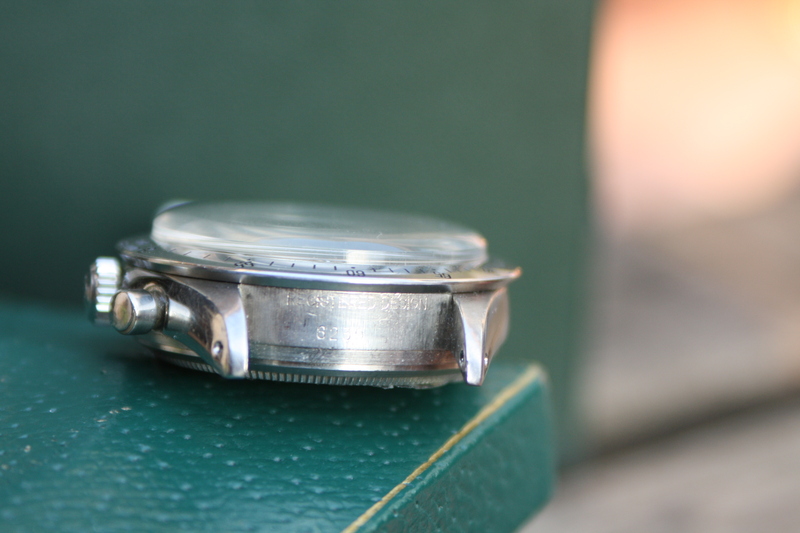 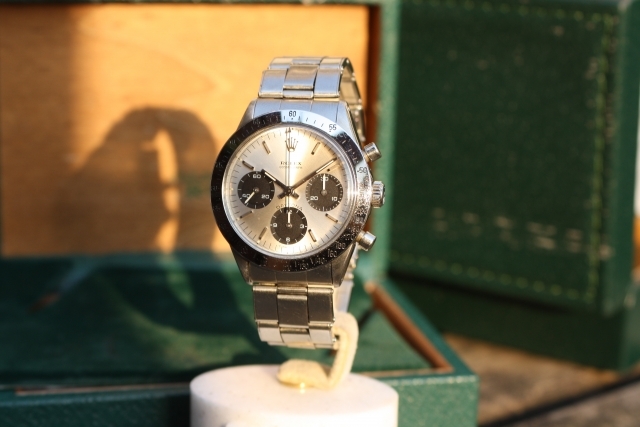 Condition is everything when you buy a vintage Daytona watch, especially the condition of the dial is very important for the value of the watch. 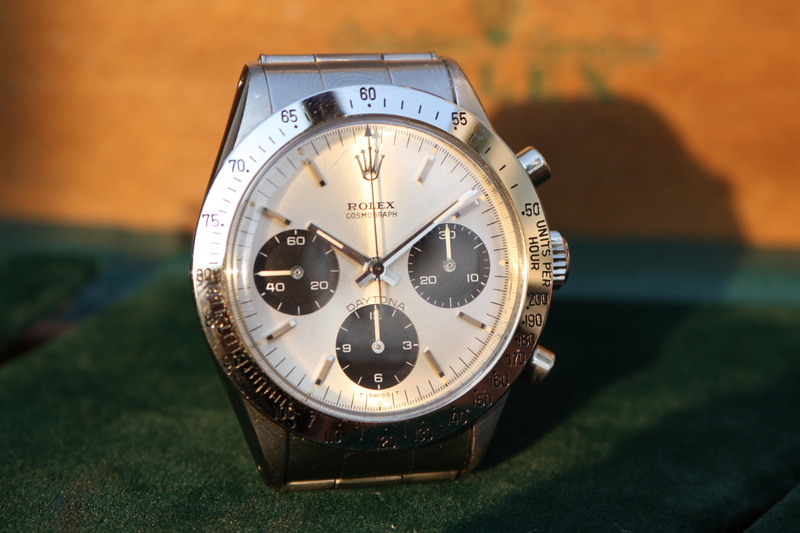 The steel bezel on this early 6239 daytona has been replaced at an earlier Rolex service, the watch case which still remains in perfect shape has been gently polished. 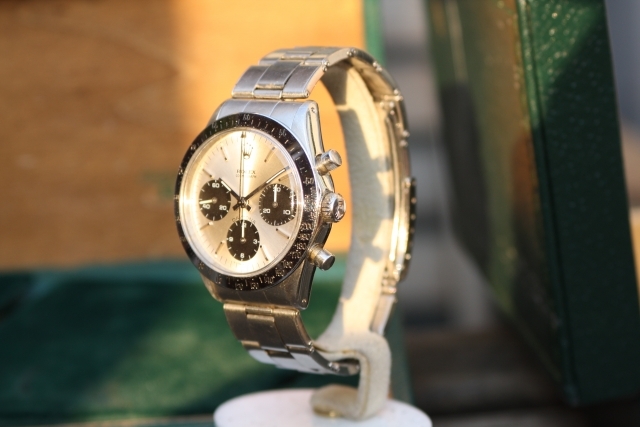 Please contact us if you have any questions about this Daytona 6239, you can download each picture in high resolution with the download button on the page. Vintage Times is located in the centre of Amsterdam. 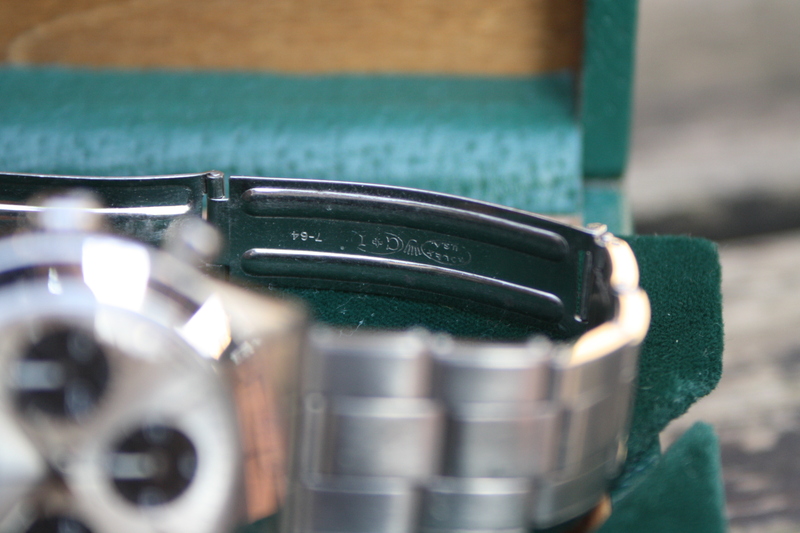 We welcome you at our office at the Herengracht, please contact us for a visit we work by appointment only. 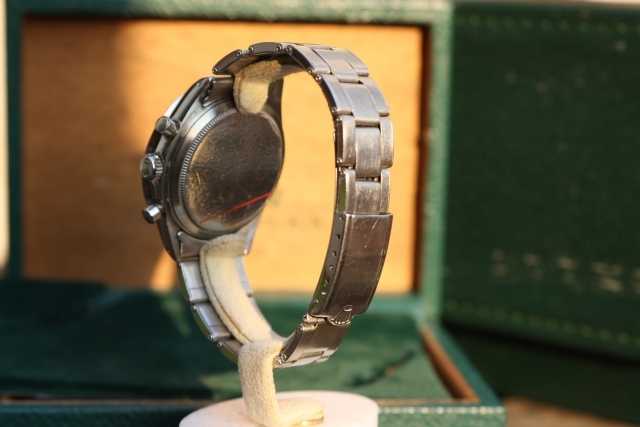 Vintage Times is as young watch seller. The company is driven by passion, it all started with collecting vintage timepieces. 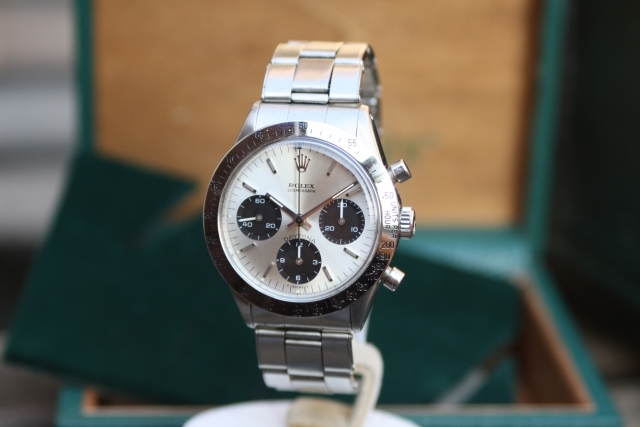 We try to offer a unique stock of high-end vintage timepieces. Besides our collection we have a large network of collectors and vintage watch dealers, please let us know when you are looking for a particular watch. 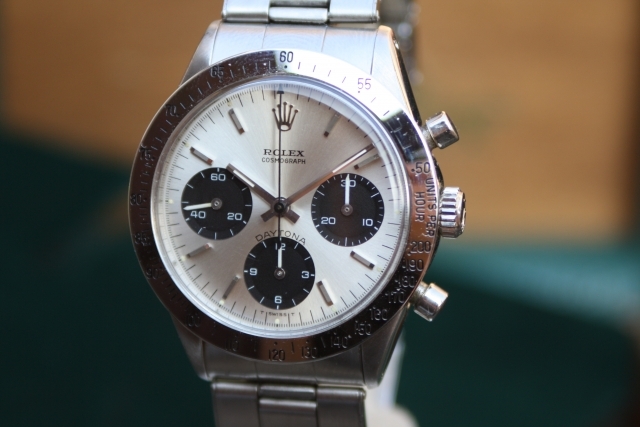 We offer worldwide shipping with fedex express and trade in vintage watches as well. 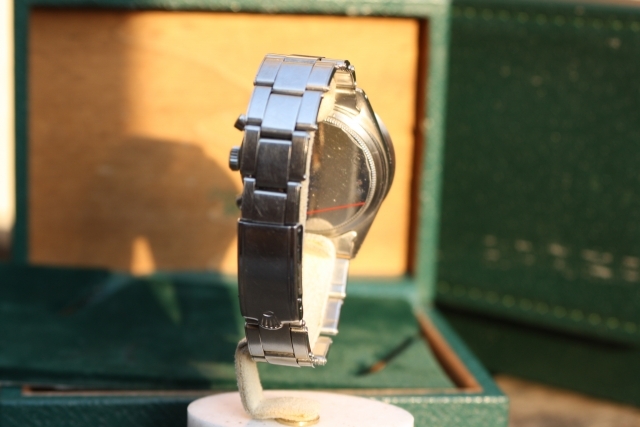 Use the contact form below to get in touch with us now.